Another uneventful week in the markets and the latest uptrend rolls on. After a small spike, volatility resumed its downward trend. 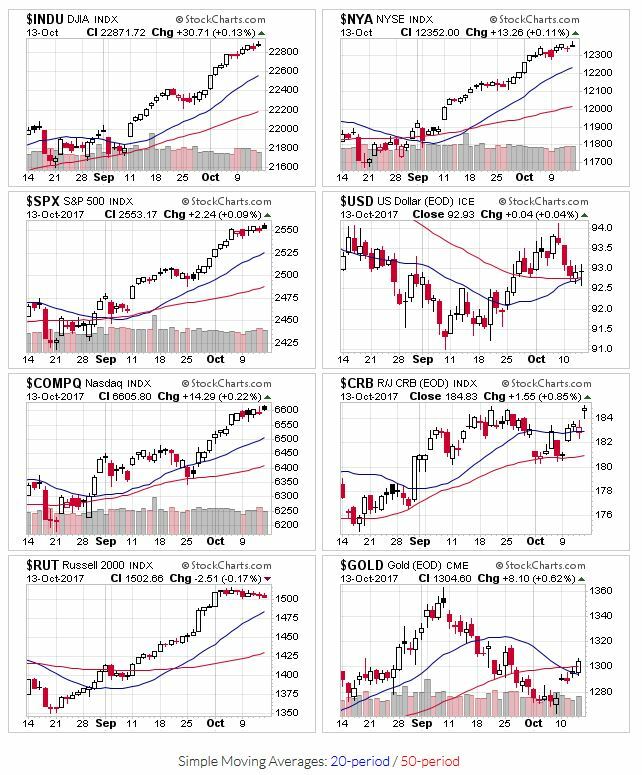 All the indexes remain above their 20 and 50 day moving averages. Price and volume action remains positive; early September break-outs are holding on to their recent gains. OEW also remains in a uptrend, citing this uptrend’s ability to grind out higher highs.